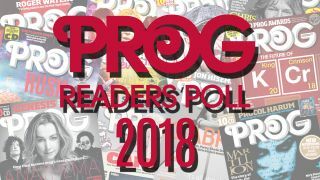 Vote now and let us know who topped your prog year? A reminder that Prog Person of The Year is a category for the artist you believe has excelled themselves this year. Gone above and beyond in their chosen field - not simply your favourite artist who actually may not have done that much this year (there are other categories that cater for that). And Unsung Hero is, as it suggests, there to honour those working tirelessly behind the scenes but who still plays a major role in helping the prog cause. They just do it away from the spotlight. And finally, please don’t vote for the passing of an artist in the Disappointment category. There are far more respectful ways of paying tribute to any musician who has sadly passed and these votes won’t be considered. To vote you can e-mail us your choices using the subject line ‘Readers’ Poll 2018’ to prog@futurenet.com. Closing date for entries is January 7.